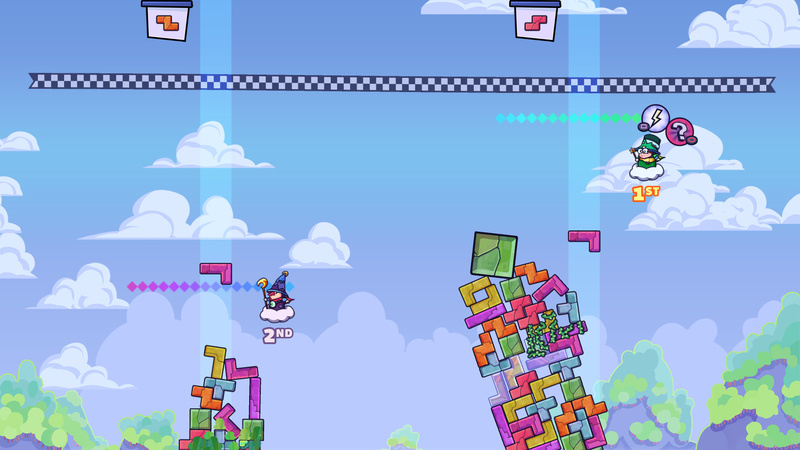 WeirdBeard Games has announced that its block-stacking puzzle game Tricky Towers will be released on Nintendo Switch on 11th October. 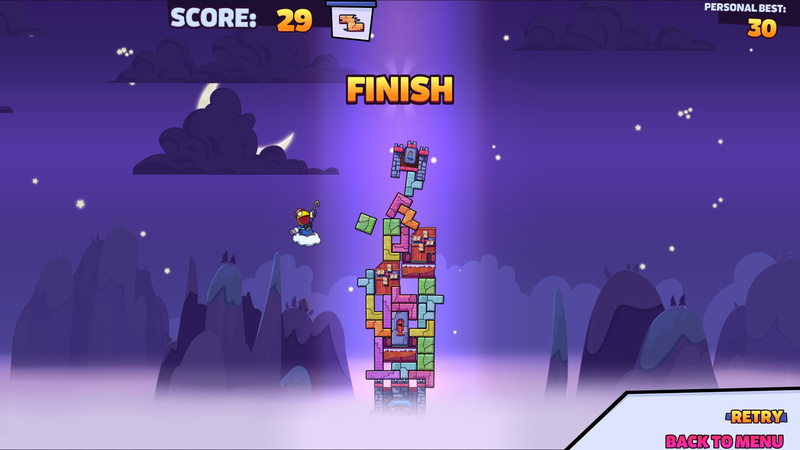 Tricky Towers is a frantic physics-based tower building game where your wizard character uses magic to stabilise your creations, or to wreak havoc on the structure of your opponents'. Players must stack bricks and use spells to create the tallest tower possible, being wary of their rivals who will try to knock their tower to the ground with nefarious dark spells to ensure their dominance. 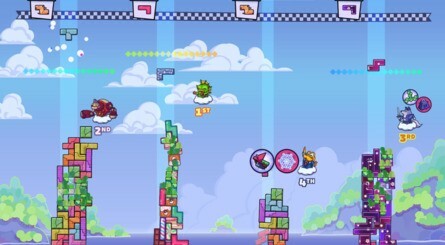 You can enjoy the magic with up to three others in local multiplayer, or challenge wizards around the world in online battles. different spells to build the trickiest tower! towers, but beware - they can use these spells on you as well! 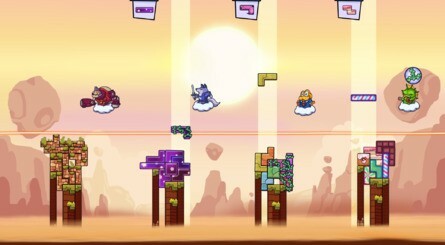 modes available - survival, race and puzzle. ● Become the archwizard; climb up the leaderboard and see how you rank among your peers. 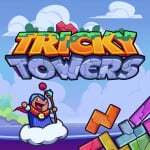 WeirdBeard's co-founder Niels Monshouwer has said that the "Nintendo Switch version of Tricky Towers has been [its] most requested feature since the console was announced", and the studio has made sure to make the game worth it for potential customers. 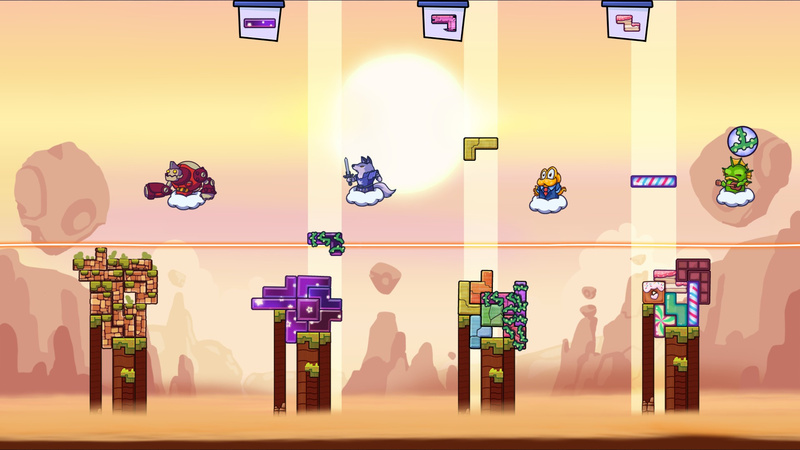 All free and paid DLC will be included with the Switch edition (five additional brick skin packs, four spirit animal characters, and a special Indie Friends DLC pack), and the port has been worked on alongside BlitWorks - a studio very familiar with the Switch. As mentioned above, the game launches on 11th October and will be priced at €14.99 (other region pricing to be confirmed). Have you played this one on other platforms? Are you looking forward to giving it a go on Switch? Tell us below. I have it on PS4, but like everything else on the Switch it's just better having the flexibility so I'll buy it. And this is probably one of my most played PSN+ "free" games. Spent a ton of time playing this with my fiance. I'm happy to pay for it on Switch. I remember seeing Eurogamer doing a let's play (think it was them) of this game some time ago, but could never remember the name. I may buy it if the price is right. "Win the Wizardry cup: Participate in local and online tournaments and become the next Harry Potter!" I watched the Game Grumps play through this and it looked really fun. Lmao, I didn't even read that the first time. Riddikulus. Better reason than ever to pick this up! I'm just sooooo bad at it on PC. Therefore, I shall buy it on Switch to git gud. Fun game! Cool that it's coming to Switch. The mobile predecessor 99 Bricks was really fun. Gotta see what these guys did in the console remake! As many above have mentioned, I got this “free” with PS+ and have played it a ton on PS4, but I’ll definitely be buying it on Switch, because gaming is so much better when you aren’t stuck playing on the TV. Another ps plus gem! Won't be getting it on switch but highly recommend it. 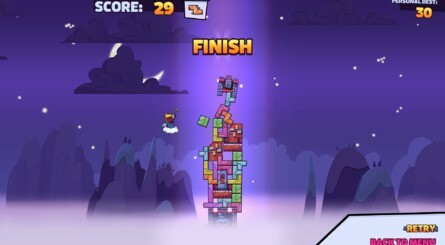 Fun twist on the tetris formula. Seems every indie game that was one ps plus last few years is making it to the switch! 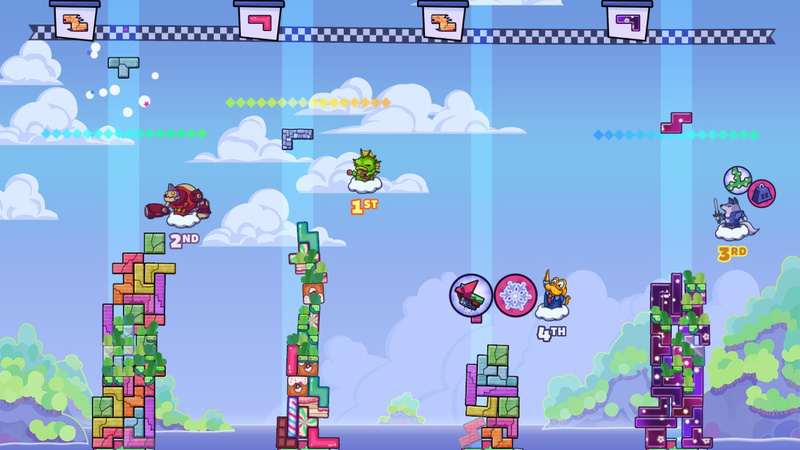 I do have to wonder, though, how using Tetris blocks in another game doesn't spark up some kind of copyright battle. Unless of course, they made some kind of deal about that. Really looking forward to this ... would really like a physical copy though. @ThanosReXXX “Copyright battle” would be a fun theme for a 2D fighting game... perhaps featuring (tributes to) Phoenix Wright, She-Hulk, Howard Lincoln, and Lars Ulrich. SLAPP (suit)! So, why the hell do Switch owners have to BEG for these games, when it makes incredible financial and business sense for the developers to port them? It's their loss if they don't, less money in their pockets. This whole notion of Switch owners begging devs to bring their games over, then the devs pretending they did it to "please the fans" is absolutely pathetic. Switch has shown time and time again that games outsell versions on other platforms (sometimes by a massive margin like 10-1). Developers should beg to bring their software to the switch because it makes them a load of money, not the other way around. This game is so much fun with some friends. We had a lot of fun on the PS4 so we are very excited for the Switch Version. But the price is way to high even with the discount you are getting now if you pre-purchase. 5 Bucks would be OK.
Wow, This look like a dream game for me. Never heard of it before, but this is a "killer app" for me. For real. I've been a massive fan of 99 Bricks ever since it launched on the iPhone, never knew there was a sequel release. I'll be getting this day one for sure! Like Shovel Knight physical. So glad I waited. But I don't like the practice of releasing digital and saying nothing about a physical to get those digital sales only later to announce it. Sonic Mania too. Here's a statchue and a code. Months later, here's a physical cart.